The history of the Division of Soil Science and Agricultural Chemistry is traced back to the Chemical Section headed by Imperial Agricultural Chemist, which came into existence in 1905 with the establishment of the Imperial Agricultural Research Institute housed in the Phipps Laboratory, grand edifice named after the American Philanthropist Mr. Henry Phipps. 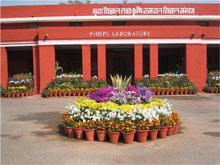 The Great Bihar Earthquake of 1934 led to the shifting of the Imperial Institute to New Delhi where the building of the erstwhile Chemical Section continues to carry the name of Phipps Laboratory. With the country’s in dependence in 1947 the Chemical Section was renamed as the Division of Soil Science and Agricultural Chemistry. Dr. J. W. Leather, the first Imperial Agricultural Chemist (now designated as Head of the Division of Soil Science and Agricultural Chemistry) was succeeded by the well-known personalities with high scientific attainments in this specialized field of agricultural sciences. The main objective of this Division is to carry out research on the fundamental and applied aspects of the physical, chemical and biological properties of soil; fertilizers and manures and their interaction with soil and plant; improvement and maintenance of soil fertility for sustained optimum agricultural production; utilization of organic residues (wastes) as a manure and production of biogas as fuel; soil test crop response correlation studies; advice to the farmers on soil test-based fertilizer recommendations. First laboratory in the country on use of radio tracers in plant nutrition studies. Equilibrium phosphate potential and potassium adsorption ratio. Establishment of VAM in rice-wheat cropping system. The Division is equipped with modern instrumental facilities (AAS, ICP-MS, XRD, Petrological microscope, Auto-analyser etc.) to address the emerging frontier areas of soil research.